It was reported just yesterday that 'The Viking Warrior' Mikkel Kessler has agreed to fight former world title challenger, Brian Magee. The fight will happen sometime later in the year in Denmark. 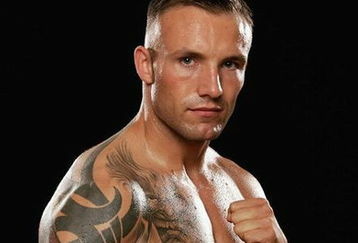 Kessler has only fought once in 2012 so his aim will be to keep active before fighting an elite fighter in early 2013. Magee has fought the 'who's who' of the Super Middleweight division. He has fought and lost to Carl Froch, Lucian Bute and Robin Reid, all of whom have held a world title. Magee is the definition of 'Fringe World Class', simply because he has lost to every world level fighter he has fought. Kessler is thought of as another one of those 'elite' fighters who should stop Magee in the later rounds of a tough fight. That's the general opinion of most fans anyway. I'm edging towards Kessler but this fight isn't as one sided as people think. You have to favour Kessler because he has fought and beat better opponents than Magee. But in my opinion Kessler is slightly past his best, and Magee is on a good win streak. He has won two interim title fights since his loss to Lucian Bute in 2011. At the very least I think Magee will give Kessler a competitive test, it wouldn't completely shock me if Magee won a close fight on points. But as I said earlier, you have to favour Kessler. You can expect to see the winner of this bout in a big money fight next year.